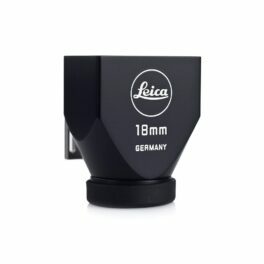 This finder for 18mm lenses provides a remarkably vibrant, high-contrast image. 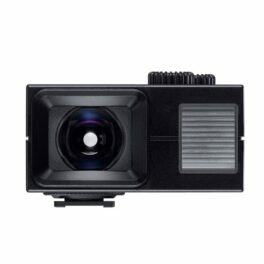 Due to a concave mirror in the optics, part of the incoming light is used to illuminate the picture outline as a bright frame. 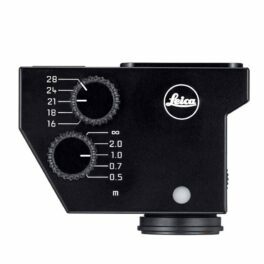 This is the same as in viewfinders of Leica M cameras. 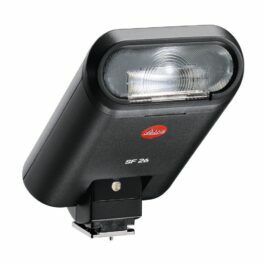 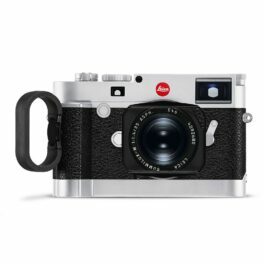 The finder has parallax compensation markings for distances below 6.56' (2m) and also has markings for the slightly smaller image field of Leica M8 models. 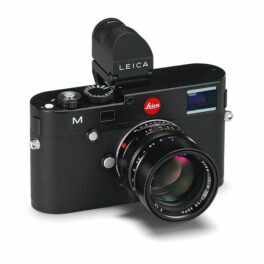 It can therefore be used on both cropped M8 models or full-frame models like the M7, M9 or M Monochrom. 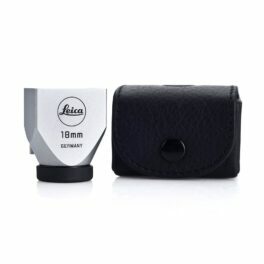 The optics are given a high-quality multi-layer coating to guarantee optimum viewing through the finder in all conditions. 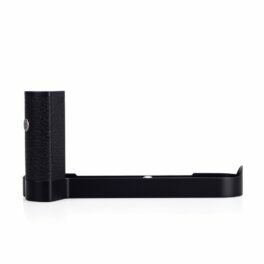 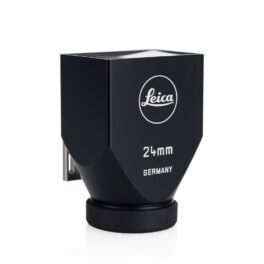 The high-quality metal body of the finder is designed in the popular retro look of the fifties and sixties, but is milled from solid brass according to the latest technologies and then given a black paint finish to match the camera. 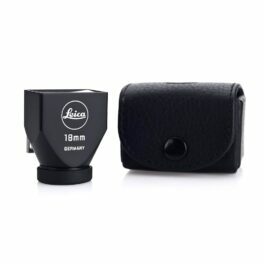 The eyepiece side is rubberized to protect eyeglasses. 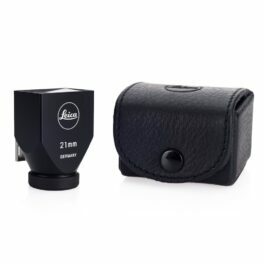 Includes black leather case with snap button closure. 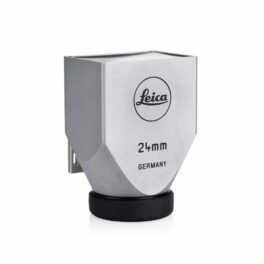 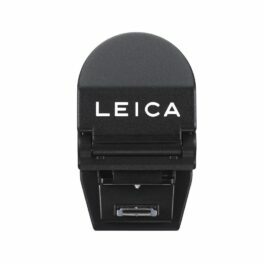 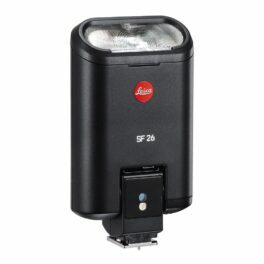 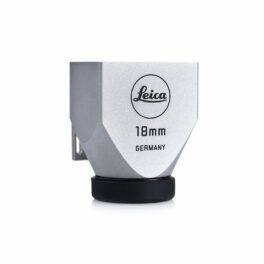 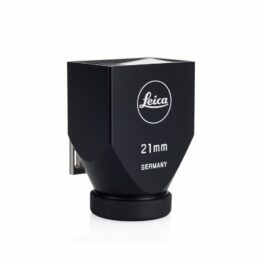 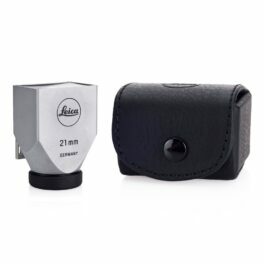 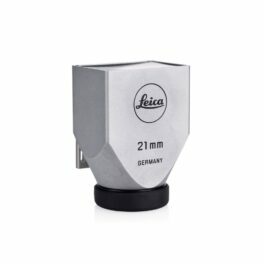 High resolution 1.4 megapixel electronic viewfinder for the Leica M (Typ 240) and Leica X digital cameras. 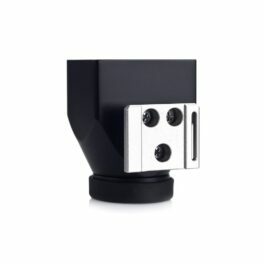 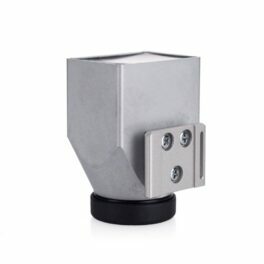 The EVF mounts to the camera’s hot shoe and allows eye-level shooting, along with tilting 90 degrees. 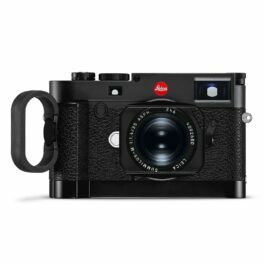 The Leica Handgrip M ensures improved safe and steady camera handling, particularly when shooting with heavier R-Lenses. 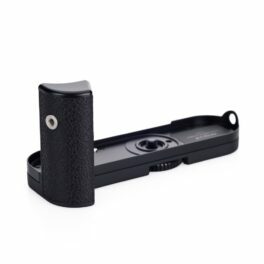 The optionally available finger loop in various sizes (S, M and L) can enhance this even further and these loops can be quickly and easily attached to the handgrip M.